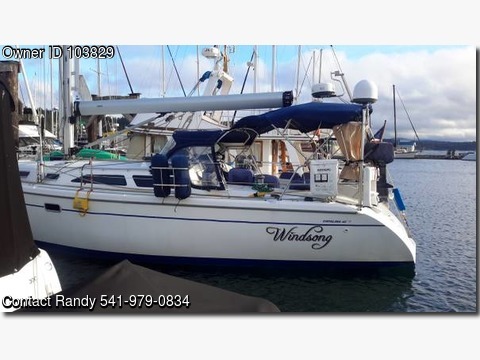 Boat is located in Friday Harbor,WA.Please contact the owner @ 541-979-0834...Beautiful Catalina with in boom main furling and roller furling for the head sail. New bottom paint in Oct 2017. Many electronic upgrades and it's the perfect livaboard. Complete list of all equipment and upgrades available to the serious buyer. This boat has it all. It's a two cabin with a Pullman berth forward. 300 watts of solar panels. Schaffer in boom furling Electric winch for main Roller furling Radar GPS Wind meter Depth finder Auto helm Yanmar 50 hp diesel 110 gal fresh water 2 25 gallon holding tanks 28 gal fuel tank Electric anchor winch Dickinson antartic diesel furnace with day tank Icom ship to shore radio with tuner in back stay Vhf radio Refrigerator freezer Lots of canvas 300 watts of solar panels and controller New interior lighting New black water hoses 2 color tv's with satallite dome for Dish network New bottom paint Oct 2017 New zinks in January 2018 Galvanic isolator.